The advent of Apache Hadoop™ has led many organizations to replatform their existing architectures to reduce data management costs and find new ways to unlock the value of their data. There’s undoubtedly a lot to gain by modernizing data warehouse architectures to leverage new technologies, however Hadoop projects are often taking longer than they need to create the promised benefits, and often times problems can be avoided if you know what to avoid from the onset. As it turns out, the key to replatforming is understanding the implications of building, executing and operating dataflow pipelines. 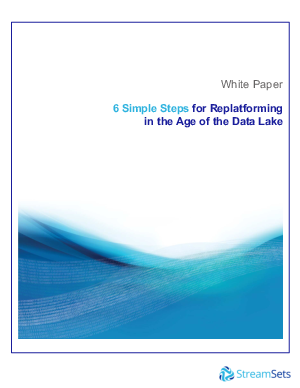 This guide is designed to help take the guesswork out of replatforming to Hadoop and to provide useful tips and advice for delivering success faster.